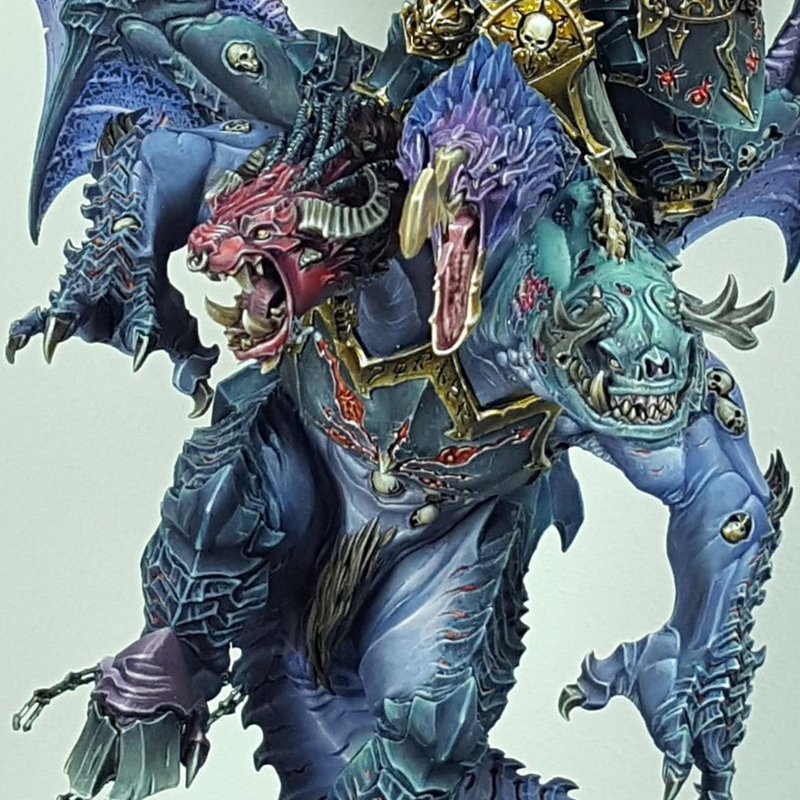 There have been plenty of well painted Archaons since this models release, and this one's no different. All of the painting is crips and smooth and is at a pretty high standard. What really made this model stand out for me were the color choices. 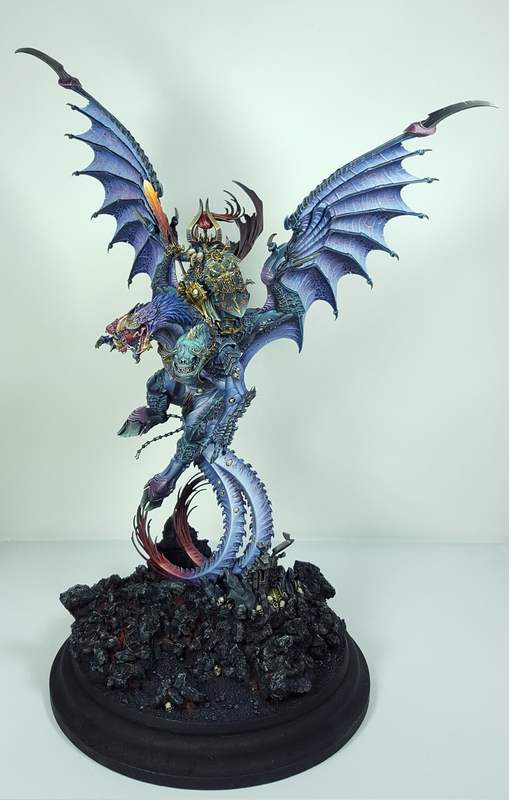 Instead of the usual black, grey, and red color scheme we are used to seeing, this hobbyist went for a much cooler scheme. By cooler I mean temperature wise, although it is pretty cool looking too. I really like the blues and purples used for Doghar's skin. It looks great, but also realistic, since it has a somewhat desaturated feel to it. Even the heads have a similarly cool scheme to them. The red of the Khorne head has a bit more violet in it and the green of the Nurgle head is a bit teal. They are still clearly their gods' colors, but have been tied into the blues of the rest of the body. 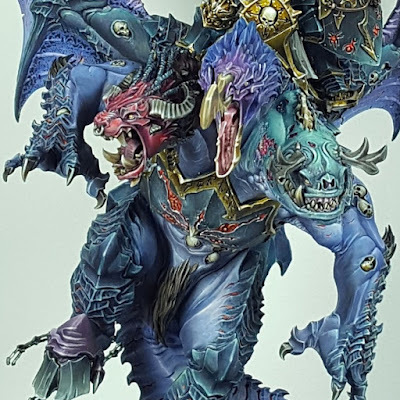 The Tzeentch head obviously gets the most mileage out of the use of blues, and I really like the transition to purple on it. Some other nice areas on the model is the mottled pattern on the wings and the fire effect on the sword. These add a nice bit of micro detail to an otherwise very large model. Overall this mini is great and unique at the same time.